11 000 sheets of Gold Leaf and two murals later, Flyjin, a subterranean Asian Brasserie/nightclub located in Old Montreal, is the home to a Kevin Ledo‘s biggest art installation to date. 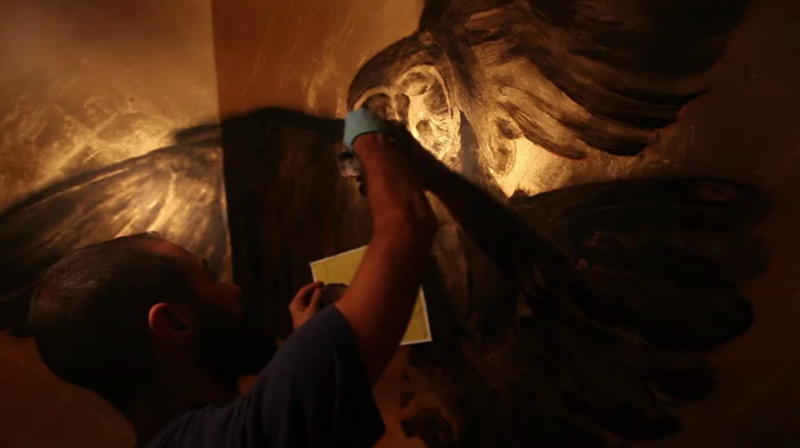 Ledo put together a team of artists to tackle this shimmering gold project. Above is the ‘in the making’ video, directed, filmed and edited by Karel Chladek.